Stop by the CUESA Classroom for a special weekday cooking demo featuring the seasonal bounty of the Ferry Plaza Farmers Market. 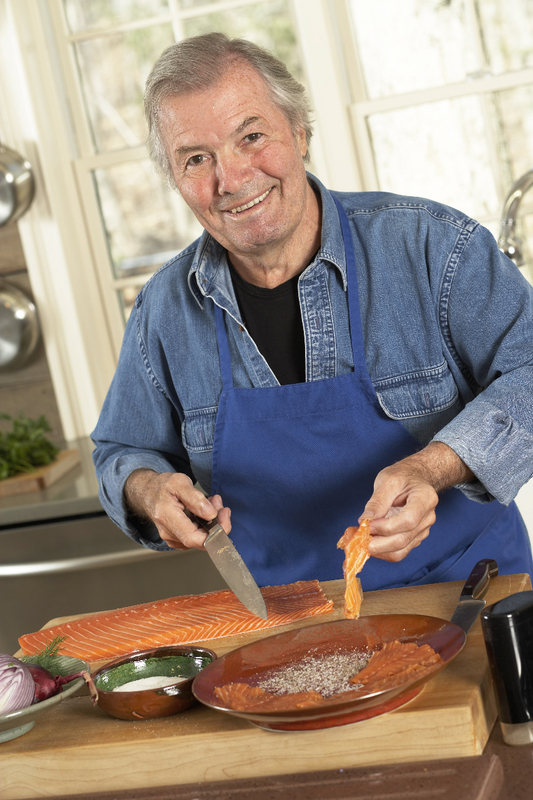 One of the world’s most famous cooking teachers and educators, Jacques Pépin has published 30 cookbooks, including his book, Jacques Pépin Poulet & Legumes and his PBS tie-in cookbook Jacques Pépin: Heart & Soul in the Kitchen and his memoir, The Apprentice: My Life in the Kitchen. He has also starred in fourteen acclaimed cooking series on public television. Jacques shares his knowledge through the curriculum and teaching at International Culinary Center where he has been a dean since joining in 1988. Before coming to the United States, Jacques served as the personal chef to Charles de Gaulle. Jacques has won many accolades and awards, including a Lifetime Achievement Award from the James Beard Foundation in 2005, several IACP Cookbook Awards, the Legion of Honor, France’s highest distinction and was named the first recipient of the Julia Child Award by the Julia Foundation for Gastronomy and the Culinary Arts. He lives with his wife Gloria in Madison, Connecticut. This demo will feature three of Chef Pépin’s books. My Menus: Remembering Meals with Friends and Family is his most recently published book. For almost 50 years, the legendary chef and accomplished painter has recorded his dinner parties with beautifully illustrated menus. Now, those illustrations have been compiled into a beautiful book, where cooks can write their own menus, with space for guests to sign on the facing page. A Grandfather’s Lessons by Jacques & his granddaughter Shorey features him giving his charismatic pupil a short course on preparing “food that is plain, but elegant, and more than anything, fun.” In the process, he proves himself as inspiring to her as he is to the country’s greatest chefs. The Jacques Pépin Collection of housewares and the accompanying book Jacques Pépin Poulet & Legumes: My Favorite Chicken & Vegetable Recipes, designed for and sold exclusively by Sur La Table, was inspired by legendary chef Jacques Pépin’s whimsical artwork. The collection focuses on Pépin’s signature artwork series, roosters/chickens and vegetables and includes ceramic dinnerware, serveware, platters, mugs, spoon rests, breakfast sets, olive oil bottles, utensil crocks, pasta sets as well as farmer’s market tote bags, kitchen textiles, aprons, towels, table linens, napkins and assorted table decor. This special demo will take place on the north plaza in front of the Ferry Building. Seating will be first come, first served, and there will be plenty of standing room. The demo will be followed by a book signing in the Sur La Table store in the Ferry Building Marketplace.